Like all big cities around the world, London’s urban areas are being transformed into trendy, gentrified neighborhoods. Not everybody is a fan of this process, which usually leads to some level of corporate intrusion and rising costs for longtime residents, so researchers at Cambridge have devised a method of predicting what neighborhoods are likely to be gentrified next. The academics investigated half a million Tweets and check-ins on Foursquare over a 10 month period. Combining that information with things like census, crime and housing data, the researchers developed a scale of ‘social diversity’ for each area. They were then able to see a link between the social diversity of specific areas and gentrification of the same place. Areas with growing rates of social diversity are more likely to be in the process of becoming gentrified. Basically, wherever the hipsters are checking in is a good indicator… because they obviously find these spots before they are cool. Some of the other indicators used by the researchers, as well as high social diversity, included a drop in crime rates and rise in house prices. So, where’s next on the hipster hit list in London? Hackney, Tower Hamlets, Lambeth, Hammersmith, and Greenwich are all in the process of being gentrified, according to the study. The research is an interesting approach to data that would normally be deemed too biased to be used for things like a census, but in this case that’s beneficial to the project. 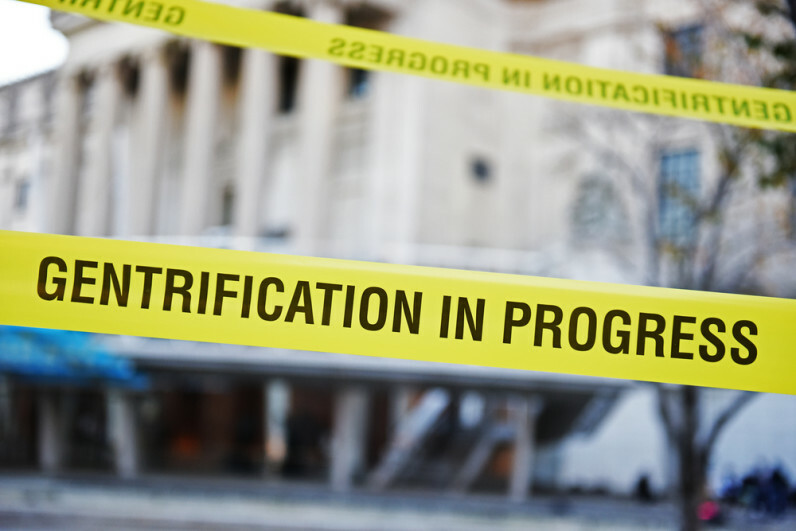 The data may be of interest to businesses, local organizations or government who are tracking the gentrification of specific neighborhoods. The group of researchers even suggest it could be built into mapping apps and used to make recommendations for tourists.